Display this adorable acrylic cake stand with lid at your upcoming baby shower for a look guests will notice. 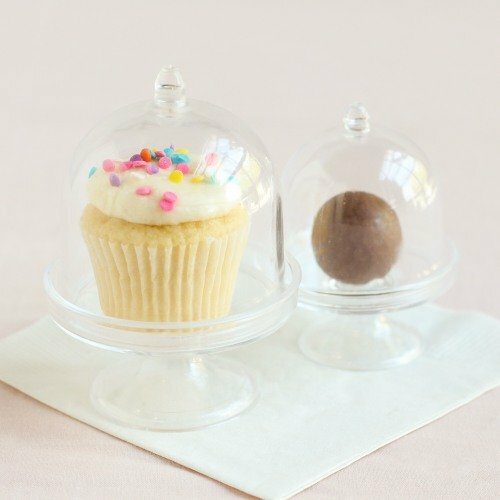 Made of clear acrylic, each cake stand comes with a functioning domed lid. Place a beautiful cupcake in each or use to prominently showcase succulents and other decorative pieces.